Unless motivated, most employees will have a hard time beginning and maintaining a healthy lifestyle. Behavior change is one of the most difficult things that we do as humans. Every successful wellbein program has implemented some type of incentive program to help employees get started with behavior change. 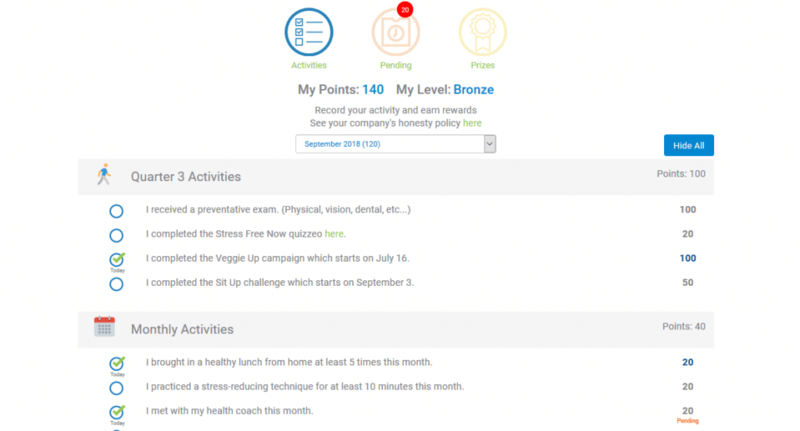 I recently published a blog showing all of the information needed to set up an effective wellness incentive program. There are many types of incentives and just as many different requirements that must be met for employees to earn those incentives. In the past 10 years, WellSteps has helped hundreds of clients set up and manage wellbeing incentive plans. We’ve seen just about every kind of incentive and qualification requirement possible. Some of these have been a huge successes and others—not so much. Here are the best wellness program incentive ideas we’ve seen. The goal of the wellness program is to help employees adopt and maintain healthy behaviors. It is best when employees are internally motivated to be healthy. But sometimes employees get stuck in unhealthy habits and they need help adopting and maintaining healthy behaviors. The best way to do this is to provide small incentives, such as gift cards, to randomly selected employees who successfully complete different aspects of a corporate wellbeing program. We have great published scientific evidence that this incentive approach works. It is the incentive approach that WellSteps recommends to all of our clients. Employees can qualify for a drawing if they complete a personal health assessment, biometric screening, a behavior change campaign, or a challenge. All employees do not get an incentive for completing the target behavior because that leads to entitlement. Instead, they earn the chance to win—sort of like the lottery, only not as big. Just having a chance to win is fun and is sufficient to motivate most employees. For example, if a company with 500 employees has 350 complete a behavior change campaign, all 350 employees are entered to win a small number of gift cards, prizes, or event tickets. These small gifts given immediately upon program completion make the program more fun, create the opportunity for vicarious reinforcement, and provide substantial motivation at very little cost. Employers get even greater adoption of employee health behavior with a benefits-based incentive plan. Benefits-based wellbeing incentive programs typically offer employees a discount on their insurance premium, paid time off, a contribution to an HSA or HRA, or a lower co-pay or deductible as an incentive. Benefits-based incentives are considerably more expensive than randomly selecting winners of small gifts, but they also have more impact on employee engagement. Benefits-based incentives are made available to all employees who do the work to earn the reward. Many WellSteps clients offer a $50/month health insurance premium discount. This adds up to $600 per year per employee who qualifies. The dollar amount of the benefit-based incentives should be large enough to motivate employees, but not so much that it creates an entitlement mentality among program participants. Benefits-based incentive requirements should be substantial because the financial incentive should also be meaningful. We have noted over the past 14 years that a premium differential incentive in the range of $30-$40 per month is optimal for achieving best outcomes. When combined with simple, short-term prizes, benefits-based incentives will provide employees with enough motivation to get the wellness ball rolling until they begin to feel the internal benefits of a healthy lifestyle. Don’t forget to make it easy for employees to report their progress towards earning the incentive. The WellSteps rewards program is our web-based incentive tracking platform. This platform allows employees to easily report completion of incentive requirements. Most often completion of requirements are reported automatically when employees complete a campaign or a challenge. Sometimes employers require their employees to provide verification that some activity has been completed. 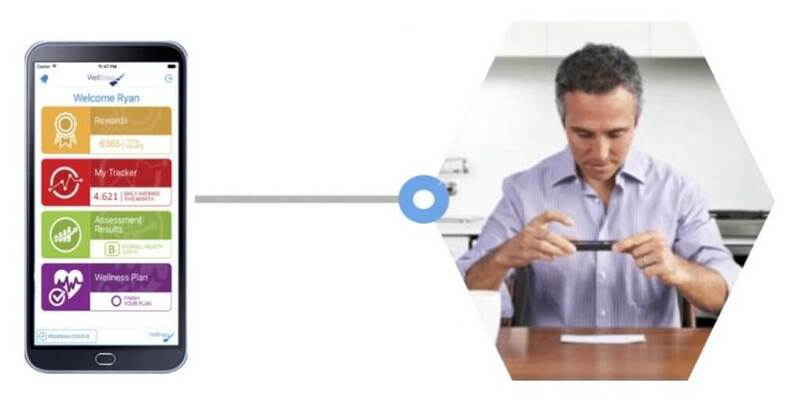 To make this process simple, the WellSteps app allows employees to take a picture of the verification and have it automatically uploaded to their account. The rewards incentive platform makes it easy to track and validate employees progress towards earning their incentives. 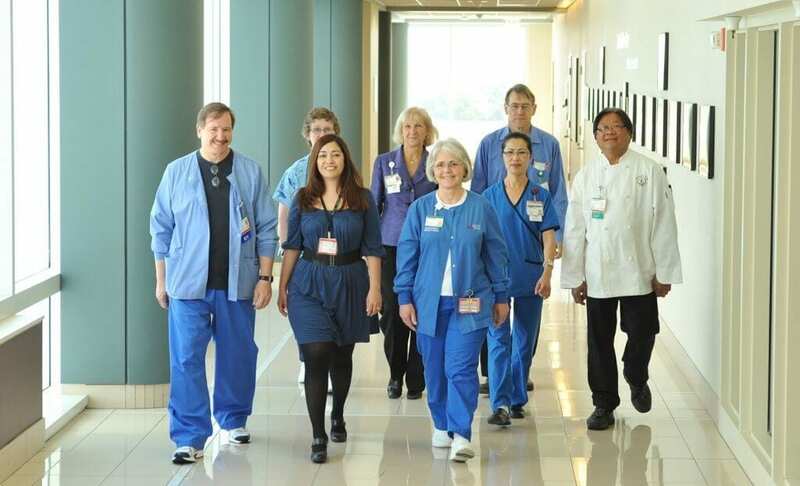 For the past 25 years, the C. Everett Koop Health Project has carefully evaluated wellness program applicants and awarded the very best wellbeing programs in the United States with the Koop Award. The application process is rigorous and requires programs to provide ample documentation that their programs improve employee health behaviors and reduce employee related costs. It is the most rigorous wellness program evaluation in existence. Only the best corporate wellbeing programs even attempt to apply and only the best of the best actually win the Koop award. I have been a member of the Koop Board of Directors for most of the past 25 years. I have had the privilege of studying and scoring all of the applications. 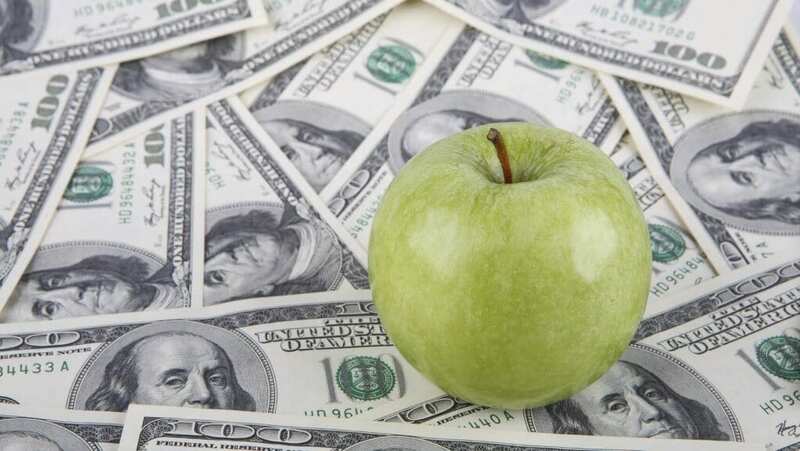 Over time, I have collected a list of the different wellness program incentive ideas that have been offered by the nations best corporate wellness programs. I’ve also kept a list of the various incentive qualifications requirements used by these organizations. Hopefully these two lists will provide some ideas that can be used to improve the effectiveness of any wellbeing program. A broad set of verifiable activities (30+) and measurable outcomes were incentivized. Employee contribution discount of $100/$200 (employee only/employee plus spouse) if both employee and spouse completed all of the following: a) an HRA, b) Selected a goal that was recommended based on unique health risks and c) Participated in five wellbeing related activities. Eligible for a $150 medical plan premium credit by earning points for participating in wellness behavior. Employees who showed documented health improvements or maintained a current level of health were eligible for premium credit or the top program in a tiered medical plan. The incentive plan was designed to reward those for maintaining a healthy weight (as measured by BMI) or losing 10% of their weight if they began the year with an above normal BMI. Participants losing between 0% and 9.9% were rewarded with partial points to recognize the effort of small changes. Incentive points were also provided for those who reported body weight once each week for 20 weeks during the program year. A year-end wellness bonus could be earned. Premium differential incentives were administered monthly for program compliance. Costs were recovered from non-participants. The HRA and biometric screenings were a necessary gate for wellness health plan entry. Corporate incentives were leveraged to promote group behavior changes and, eventually, corporate culture improvements worthy of national health promotion awards. For program Year 3, participants received $25 cash for health risk assessment completion, and $50 cash quarterly wellness bonus for continued participation in programs. Parking incentives for using the most remote spots. Discounted health insurance premiums to employees who took a health pledge and a health risk assessment and agreed to a smoking cessation program, if needed. Discounts were also given on cafeteria selections with higher nutritional value. Coupons for healthy food choices at a local supermarket chain were offered regularly to employees. Employees were recognized by leadership and their peers in several ways. Incentives to be active and eat well were provided by allowing employees to earn points that could be cashed in for up to $300 annually or for up to 12 hours of paid time off. 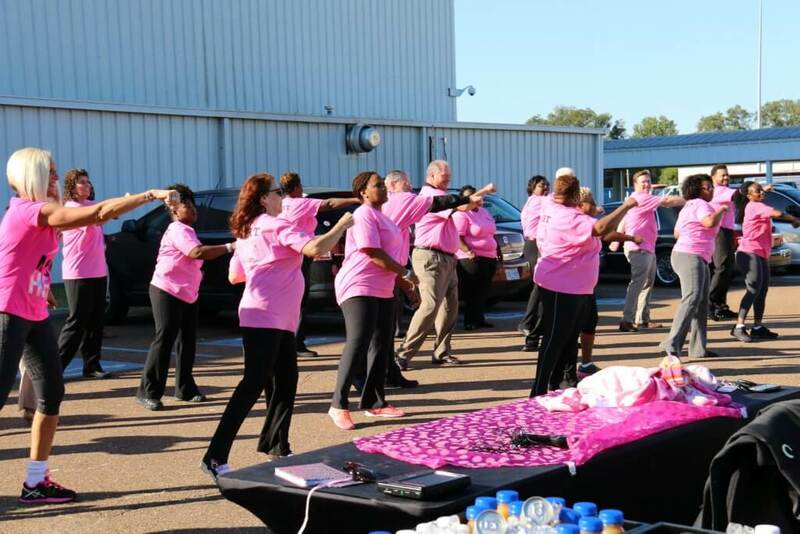 To help motivate employees to “know their numbers,” the screenings were free and some of incentives were offered, such as free movie tickets for completing a personal health assessment as well as a chance to win a free iPad and other prizes in drawings. $600 health plan contribution was made for employees and their spouses/domestic partners who participated in the annual on-site screenings and health assessment. When employees and spouses engaged in healthy activities, they earned “miles,” which served as a common currency to reward healthy behaviors and promote conversation about health improvement activities. Health management program participation lead to a significant cash incentive in the form of a payroll reduction for health plan contributions. To sustain engagement in health improvement activities beyond the health plan contribution, employees and spouses/domestic partners who continued beyond the base incentive were rewarded with Health Cash. The maximum incentive award an employee could earn per year was 3 days of pay. An educational online option was offered to allow shift employees and those who were unable to participate in other programs, the opportunity to gain health awareness and earn incentive dollars. The completion of 4 modules was required. Credit was tracked by a post-test of 100% at the conclusion of the session. A maximum of $600 in benefits premium reduction could be earned for completing the health assessment. Employees also had the option to earn up to $300 (employees/spouses) to put into a Health Savings Account if specific health programs were completed. All employees completed an annual health assessment with biometrics and completed a health action plan to receive up to $800 contributed to their Health Reimbursement Account. Employees enrolled in the medical plan received a $200 incentive if they complete a health assessment—and another $200 if they created/agreed to follow a health action plan. Employees receive $400 more if their enrolled spouses/domestic partners did the same. Participation incentives included pedometers, iPads, flatscreen TV w/Wii Fit, etc. Employees were rewarded an annual $390 health insurance premium reduction for completing the health assessment. Incentives were provided for participation in exercise, fitness centers, Weight Watchers, smoking cessation, disease management or health risk reduction programs. Employee’s health reimbursement account (HRA) was credited $300 ($200 for spouse) for biometric screening and $130 for being a non-tobacco user. Employees with identified conditions (diabetes, hypertension and cardiovascular disease) received a 50 percent co-insurance reduction for drug costs related to managing those conditions. Participants were given a $100 incentive upon weight management program completion as well as the opportunity to receive gift cards during the program. Personal Health Assessment incentive of $100 per year. Tobacco-free discount of $10 per week. Preventive screenings, onsite support groups, pharmacy medication therapy management and free diabetic supply programs, proactive case and disease management, and onsite medical services were provided for office/warehouse employees. Value-based program was offered to tobacco-users who wanted to quit using Chantix and who completed related telephonic coaching programs. A year-end incentive award was offered for completing a program. There were different tiers of achievement so someone not meeting all of the criteria still had a chance to earn an award and thus had incentive to participate. Any participant reaching the highest tier of achievement, in addition to the monetary award, was entered into a drawing for a trip for 4 to Disney World. Six trips were given away each year. Those participating had an incentive to quit tobacco and/or remain tobacco free. Attesting to being tobacco-free and remaining tobacco-free all year saved participants $11 a week off the health insurance premium. An employee who started the year as a tobacco user but who quit at any time during the year, were eligible for a premium reduction from that point to the end of the year. Incentives were increased by raising the maximum potential end-of-year cash payout by $150 (from $250 to $400) and by introducing the employee premium discount which could be worth more than $500 a year. Those with specific health risks who agreed to quarterly telephone conversations with health coaches were immediately eligible for reduced premiums or credits. Employees who declined to participate in the program forfeited premium discounts totaling $500 or more annually. Employees with targeted chronic diseases such as diabetes, coronary artery disease or congestive heart failure or who were pregnant at the time, were eligible for additional incentives worth $460 per year. What Happens After 2 Years of Employee Health and Wellness Programs? If I was an employee for a company, I think I would really enjoy having a wellness program with different incentives. Things like gift cards, or prizes would for sure motivate me to participate in the wellness program. I like the idea because it has a group of people come together to learn how to live a better, healthier, lifestyle. I think it is a fantastic program!